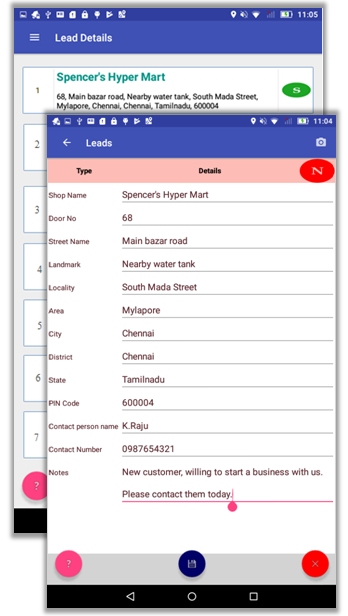 OptiRisk SOM mobile application has the capability to not only capture orders from existing customer, but it also supports capturing potential leads. Our SDMS application allows your Sales Rep to capture the details of leads and the back end system supports converts leads to customers. 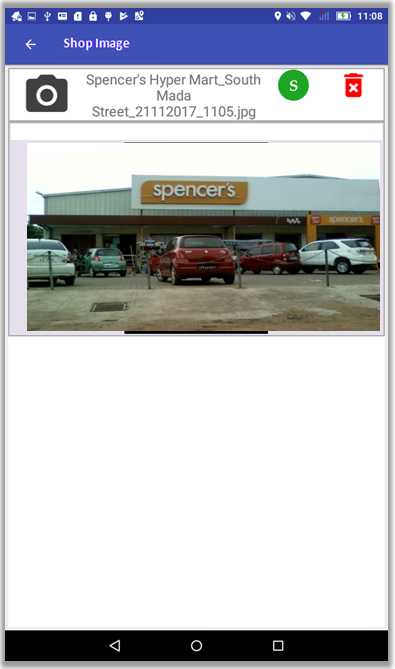 During his sales trip, if the field sales executive comes across any potential customer (lead), he captures the relevant details such as the name of the customer, address, contact details, geo location(automatic) and photo of the shop or customer. The back end sales team reviews the leads, follows up with them and convert them into customers. 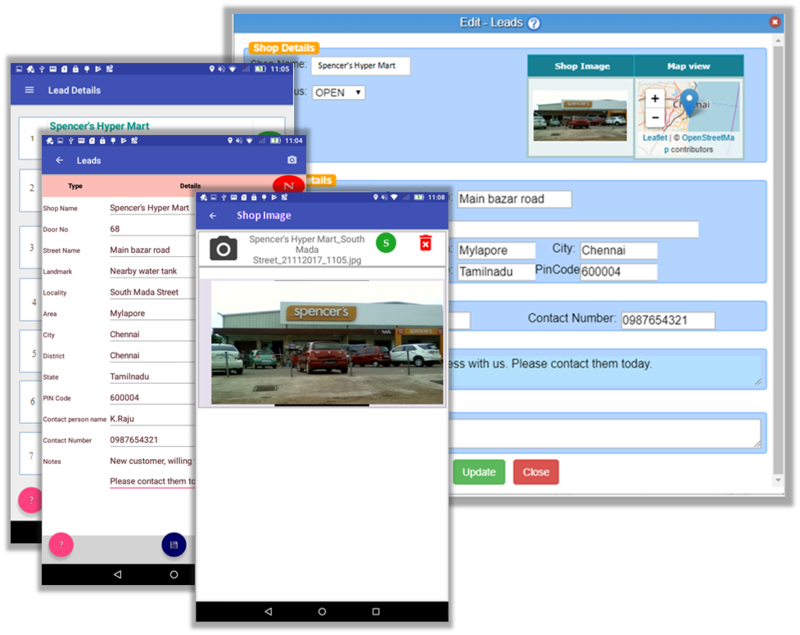 Below is the android app screenshot to capture the lead. 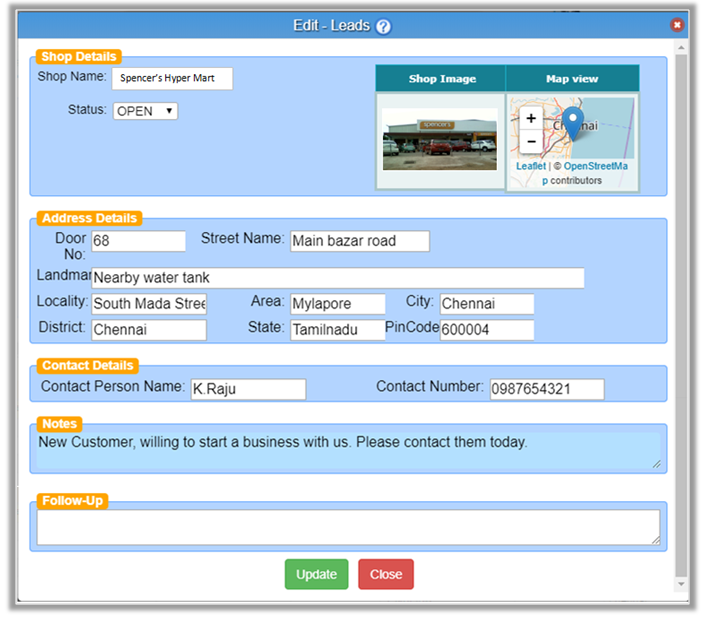 The back-end sales team, using our web browser based interface, is allowed to update the customer details of the leads except notes taken by the field sales executives. Below is the form used by the back-end sales team to review, follow-up and convert or close the leads.